I recently had an article written about me in the Vital Voice and I just wanted to share it with my viewers! There’s no place like home. True. But what if there was something better out there? 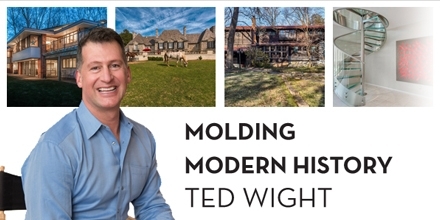 Home is where your heart is, but it’s Ted Wight’s job to make you fall in love all over again with something exceptional. He is the go-to guy for St. Louis homes that are “architecturally interesting.” It’s the guideline that governs his portfolio, and what he has in his stash is beyond interesting. From sprawling estates to historic urban mansions, Bernoudy-designed modern homes to chic condos, his listings are made to sell. In short, the man is killing it right now. Nothing pretentious about the guy, Ted is more interesting in finding something special in the home, regardless of price tag or prime location. If you’re in the market to find something distinctly you and customized to your personality, Ted is here to please. Ted defines the real estate market in the region as exciting and very stable, and that the things that are done well are selling. For 2016, St. Louis was named the second hottest real estate market in the country by realtor.com. You can check out the article by clicking here. Next post Great Investment Property in Clayton… Now Available!